ü Become too lazy and bothered to write a proper message to accompany the resume. ü Write clichéd objective statements and generic cover letters that contain all the wrong information and not enough of the right information. But before we discuss how to formulate a job application along with a resume, it is worth discussing where to look for a job. The majority of Nigerian job aspirants don’t know which door to knock to enter a state of employment. All you have to do is to register yourself on these websites and upload your resume. 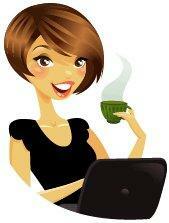 They will contact you for any job vacancy that suits your qualifications and work experience. It is also important you network so make sure you are active on twitter, Facebook, and LinkedIN. OK BACK TO THE BUSINESS OF WRITING A WINNING RESUME... What the Nigerian youth must realize is that their resume is your BRAND identity and how you shape it will determine the impression you make on who sees it (LIGHT BULB moment!) the nicer the Resume, the better chance you stand to have it shortlisted for you to come in and get one step closer to your job. 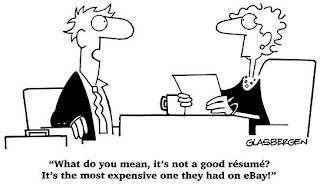 Your resume should be created in a way that it highlights real professional achievements and skills. If your Resume was a person, it must remind the reader of a three piece suit not a scattered tattered colour rioting pair of brown shorts and a T-Shirt. If you are someone with prior work experience, make sure your responsibilities and achievements with the previous employers occupy the bulk of the space on your resume. If you have a problem with selling yourself or with spotting written grammatical errors, don’t kid yourself – Go get a professional writer. 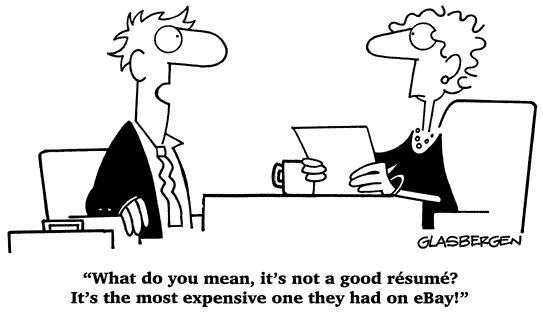 BEYOND YOUR CV - THE COVER LETTER...While sending out the applications to employers don’t just say ‘hi’ with one more line to follow, such as “Enclosed is my resume”. The body of the mail should be a VERY SHORT summary of the application so that the person reading the application has a fair idea about YOU. Once again If you have a problem with selling yourself or with spotting written grammatical errors, don’t kid yourself – Go and pay for a professionally written cover letter or seek/plead/cry/demand for help from someone better at writing than you are. THE WAY FORWARD...Nigeria is marred by many issues and sadly people, unemployment happens to be one of them and as a job seeker, you need more than zeal and a roughly patched up resume to get a job – so put in the grunt work and produce the 3 piece suit of all resumes and cover letters and I guarantee you’ll be one step close to your goal! This article was written by Oluwaseun Babajide, the founder of www.sbabzy.com and www.islotterygenerator.co.uk. Blogging and crafting e-articles are a passion of his and he is an avid learner who loves to share knowledge with others. He believes that networking and partnership are key to personal and business success so feel free to follow him on twitter @sbabzy1 or send him a mail oluwaseun.babajide@sbabzy.com, he’ll be delighted to hear from you for sure!